You hate doing the dishes after dinner. And what's worse is that it is one of the household chores homeowners do multiple times a day. An LG LDF7774ST Dishwasher might be what your family needs. It'll make post-dinner cleanup a breeze. The kids will start fighting over who gets to load the dishwasher, to avoid other household tasks instead. Washing the dishes is a chore you can't let pile up for too many days. Depending on your family size, even one day may be too much. A dishwasher is a great way to avoid having to wash dishes by hand several times each day -- especially in homes with one messy cook who knows how to make a huge mess to prepare one small plate. A dishwasher does the work for you. Just add the pod, detergent, or liquid soap, choose the power setting, and push start. 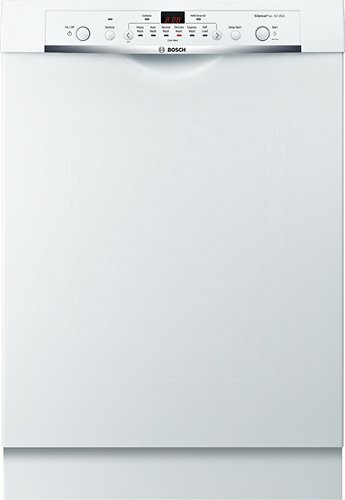 Is It Worth Investing in the Discontinued LG LDF7774ST Dishwasher in 2018? You don't have to stand on your feet for hours trying to get off stuck-on grease and messes. Nor do you have to toil over cleaning dishes after a dinner party you host. Clean dishes are a possibility, without having to do the heavy lifting and scrubbing yourself. A dishwasher might be the next appliance you choose to invest in when remodeling your kitchen. Several key features and design elements set the LG LDF7774ST dishwasher apart from competitors. Although the model is no longer in production, it is still available through third-party sites and retailers. For those who are considering this dishwasher, it's important to note its capacity and capabilities. These are some characteristics that set it apart from other leading manufacturers' products. 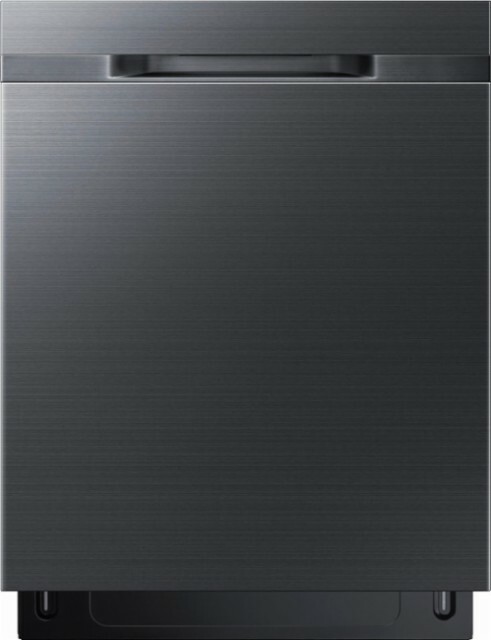 The LG LDF7774ST dishwasher has many great features making it easy to use for quick kitchen clean up. It has a total of 15 place setting slots for dishes, plates, and bowls. It also features six wash cycles owners can set for heavy-duty cleanup of greasy messes. The hidden, smooth-touch LED display makes adjusting wash settings quick and easy. There's also an adjustable rack. This rack features colored tines, to help differentiate what fits into each slot. The LG LDF7774ST dishwasher also features an inverter drive motor with a 10-year warranty. Stemware holders, countdown timer, and the LG SignaLight Indicator round out the features. The indicator informs owners when the rinse cycle is ready to begin after washing the dishes. 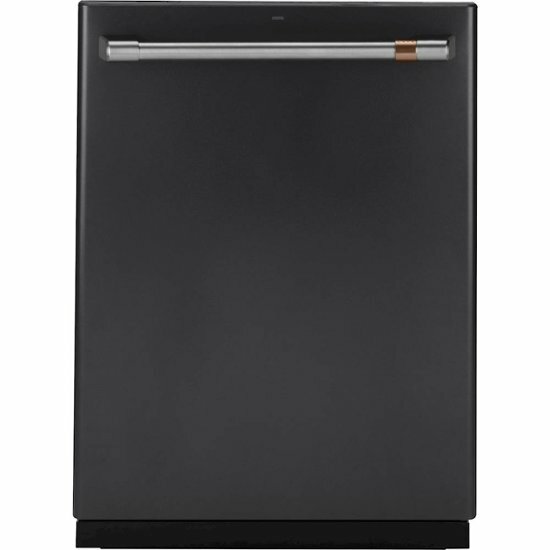 This LG dishwasher has several wash cycles to choose from for washing dishes. With six wash settings, it can remove baked-on foods easily. It also eliminates grease and sticky messes on dishes well. The drying rinse cycle runs after washing the dishes in the machine. The SignaLight Indicator informs owners when the washing commence and when it ends. The LG dishwasher also features an Energy-Star rating. So, homeowners know it is using the minimum amount of electricity during operation. The dishwasher also features three wash arms for even water distribution from the bottom-up when washing dishes. 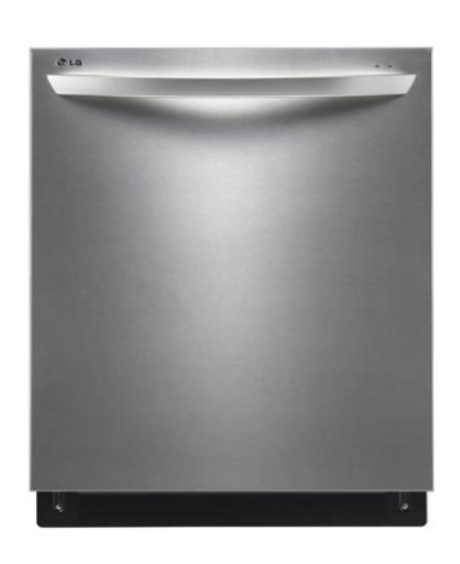 In our LG LDF7774ST dishwasher review, we considered several important factors. The wash cycles, steam clean, drying cycles, and dishwasher capacity, were some critical factors. We also compared the efficiency of comparable models, the brands, design features, and the place settings available in dishwashers. Our review process detailed the best manufacturer dishwashers, of a similar size as the LG dishwasher. We considered prices as well as owner ratings, to help provide the best details about comparable dishwashers. 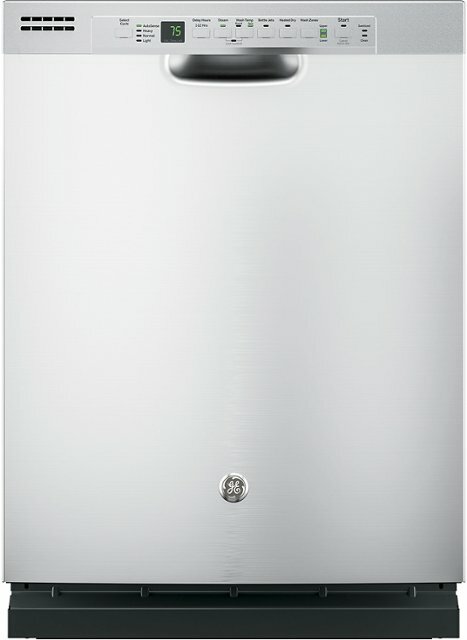 The LG LDF7774ST dishwasher is a discontinued model. Therefore, consumers can't buy it directly through LG any longer. It's available on sites like Amazon and eBay. It is available as a refurbished model on websites like Best Buy or Sears. Prices vary depending on whether it's a new or refurbished model. Consumers should also note most warranties are void if they buy a dishwasher that is no longer in production. The price is $450 to $1000, depending on where consumers purchase it, and if they choose optional warranties. For those who don't want to buy a discontinued dishwasher, there are other products to consider. These are a few of the best models, in comparison to the LG LDF7774ST dishwasher. 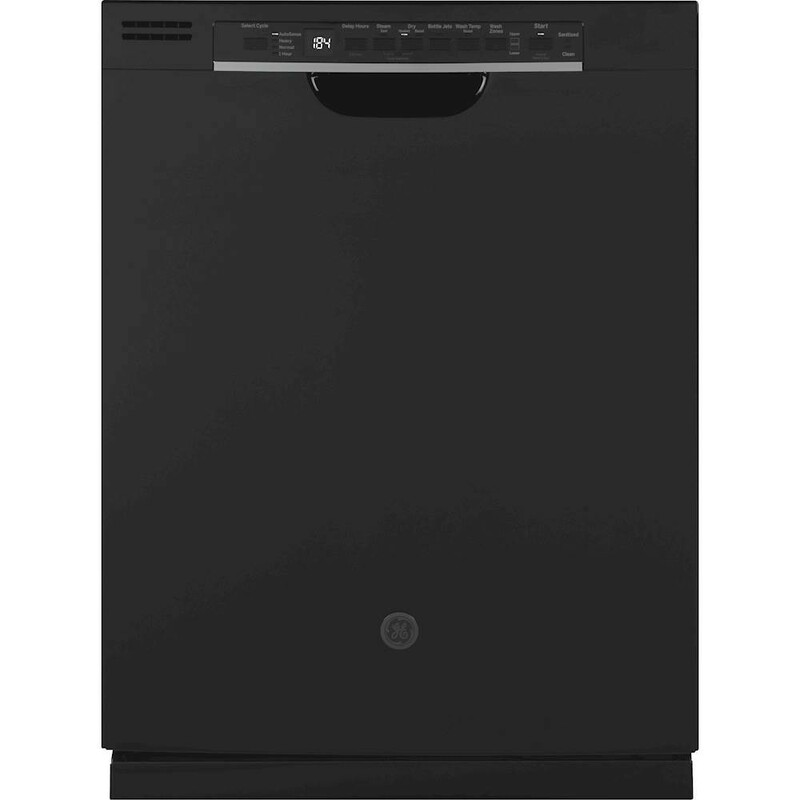 This 24-inch dishwasher features a stainless steel interior. It is available in white, stainless steel, and black steel finishes. The 46-decibel noise level is quiet in comparison to other built-in dishwasher units also. There are four bottle jets beneath the top rack to help dislodge foods from dishes. A smooth glide rack fully extends to fit larger pans and dishes. It also features a Piranha food processor with a removable filter. This feature helps to prevent large items from jamming the system and shutting the dishwasher off. One reviewer states after only one use the machine didn't work any longer. It needed to have the main circuit board and heater assembly unit replaced. 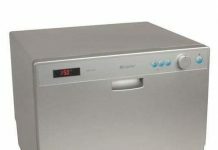 The large dishwasher features up to 14 place settings for large plates and dishes. There is also a soil-sensing wash function. This cycle helps remove foods that stick on dishes or grease that's hard to wash with warm water alone. 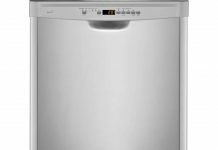 The high-performance dishwasher features four cycle options and 55-decibel operation noise level. Flexible loading options and adjustable racks, also allow owners to make the most out of the washing space. In this review, the customer notes after less than one-year the machine didn't work any longer. When calling to schedule repairs, they had a hard time with customer service and scheduling technicians for repair. The dishwasher features a one-hour wash cycle and operates at up to 3600 RPM (revolutions per minute). It has a Piranha food processor to help prevent foods from jamming and clogging the motor during operation also. The GE dishwasher has a 59-decibel noise level, and dry-boost cycle dries dishes faster after each wash. There's an optional hot water start setting. This setting automatically adjusts to warmer water temperatures, to ensure the deepest clean and sanitization possible when using this machine. Probably the biggest drawback of this model is the design. It is not available in stainless steel and doesn't feature a sleek, modern look, like most machines. This dishwasher is easy to use and features a ProScrub and ProWash function. It has the Energy Star rating also, so it doesn't use too much energy when it's running. The simple navigation touch display is easy to adjust settings and wash functions. The SatinGlide pull out rack allows owners to easily adjust plate settings to maximize interior space in the dishwasher. There's a quick dry function which guarantees no spotting on clean dishes. An ultra-fine filter also helps prevent clogging and food buildup in the machine. One reviewer notes the frame was bent and that there was some interior damage to the dishwasher upon receiving it. Issues with quality control and construction are some complaints about this dishwasher. his machine has a high-temperature wash setting, and six cycle settings owners can choose when washing dishes. It also features a sanitize clean cycle. The control panel is built-in, so it isn't visible in plain view when owners close the machine. It operates at 50 decibels and can accommodate up to 14 place settings in the model. There's a utensil rack, and interior shelves are fully adjustable as well. This machine has a 24/7 overflow prevention safety feature also. The reviewer indicates this machine has plenty of wasted space. The utensil rack is large, and the interior capacity is smaller than comparable 24-inch models. The device is high-quality and features great material finishes. But, the sizing issue detracts from the quality of this product. 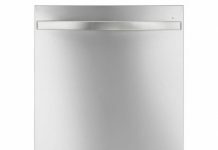 The stainless steel dishwasher has an adjustable top-rack and digital leak sensor for safe operation. If the machine senses overflow or if it is over capacity, it will automatically shut off for safety reasons. 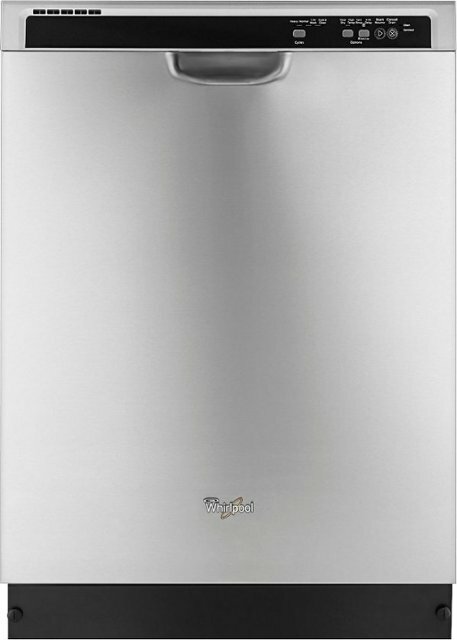 The interior door is stainless steel, increasing levels of hygiene and improving cleaning features with this product. It features a top control setting, so the touchpad is not visible when the owner shuts the dishwasher. It has an Energy Star rating, and indicator lights remain on until it's safe to open the machine. There are four wash cycles, and four options to adjust water pressure settings also. Cheap materials and poor assembly of this machine are the negative issues this reviewer notes. They indicate the device broke shortly after the purchased it online for their home. This built-in dishwasher features a stainless steel exterior and stainless steel interior tub. It can hold up to 16 place settings, allowing owners to wash multiple dishes, bowls, and plates at once. It's great for large dinner parties or to wash large pans after preparing dinner. This unit features a 12-hour delay start function also. It allows owners to set the machine to wash overnight, or when they're out of the house. So, dishes are clean when they arrive and are ready for dinner. There's a hidden vent drying fan, and bottle jets to help increase water pressure levels beneath the top rack. The top control LCD is easy to adjust. The dishwasher also features side jets as well as washer jets at the base. So, higher pressure levels hit the dishes from all sides when the dishwasher is operating. This feature ensures the deepest clean possible. At 45 decibels, the noise rating is also lower than comparable dishwashers. Some consumers aren't willing to buy a dishwasher that is no longer in production. However, the LG LDF7774ST dishwasher has several features that distinguish it as a great product. And, it's possible to buy third-party warranties or optional coverage when purchasing it online today. For those who want a great manufacturer brand, for a fraction of the price, this product is a great pick. 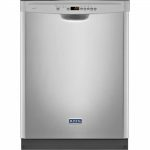 The wash cycles, settings, energy efficiency, and interior capacity, are comparable to some of the latest dishwashers available today. 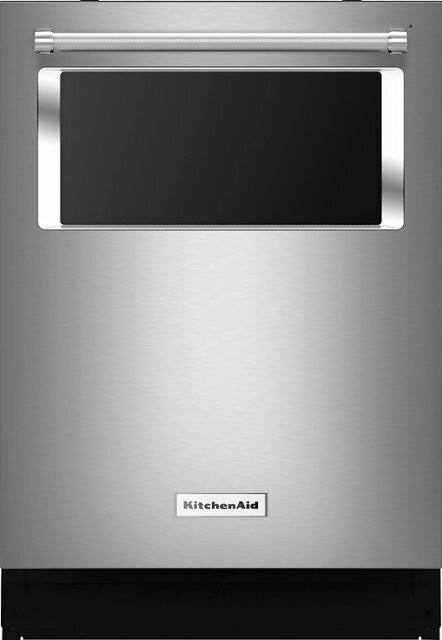 For consumers looking for a current model or version dishwasher, the KitchenAid tall-tub is a great option. The stainless steel finish blends in well with any decor or kitchen appliances. It has a ProScrub and ProWash setting and is an Energy Star machine. 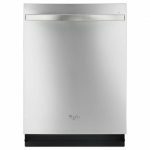 Easy to use controls and a sleek, modern look, make this a great dishwasher for the contemporary kitchen and home. Regardless of features, size, or wash options you're looking for, a dishwasher is an appliance every household needs today. These are the best products available today when you're ready to invest in one. Next articleThe Cove Sub-Zero Dishwasher Series, Are You Ready?